People love to roam the aisles of an old-fashioned hardware store like Hastings Paint & Hardware — eyeing the thousands of items displayed on the shelves. Here you’ll find the small town customer service you deserve and the big selection you need, at competitive prices. Our goal is to provide a one-stop shop for all household needs, with the right products, service, and advice so you can get it done. 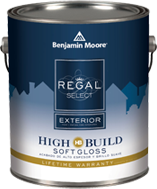 We stock cleaning supplies, rodent and pest control items, electrical and plumbing parts, tools, garden and lawn supplies, automotive needs, shovels and salt for winter preparedness, Weber grills, accessories and replacement parts for the grillmaster in the family and, of course, a full line of Benjamin Moore paints. Visit the paint department for expert color matching and coordinating. All the convenience of your home town: parking in the back, no long lines inside. We’ll give you quick answers, and we’ll load your car. At Hastings Paint & Hardware, you’ll find a traditional store that meets modern-day needs.